The East Village Arts Park in Long Beach has been re-opened. 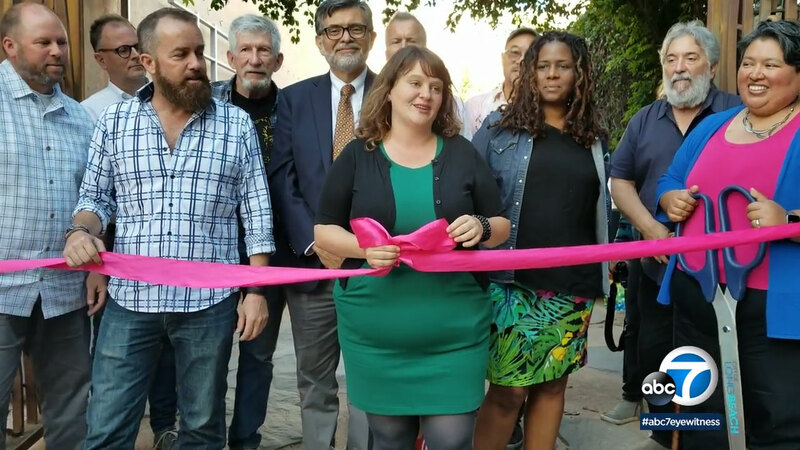 LONG BEACH, Calif. -- The East Village Arts Park has been reopened. The Long Beach park on the south side of Broadway, hidden along Elm Avenue, is back in business. At one-tenth of an acre, it's the latest in parks in small spaces called a pocket park. Although a few events have happened at the park, it has mostly been underutilized since opening in 2004. Organizers hope the re-opening will inspire locals and visitors to once again use the space. The Long Beach Art Council sponsored the event, and plans to bring more artists in to utilize this slice of downtown Long Beach. Permits to use the park for an event or performance will go through the Art Council. According to the city, on days when events will be hosted, the park will remain open all day. The park includes a raised stage area, a seating area with an overhead trellis and a display area. Works by East Village artists in the park include the entry gates, a mosaic surfacing on the stage and benches.